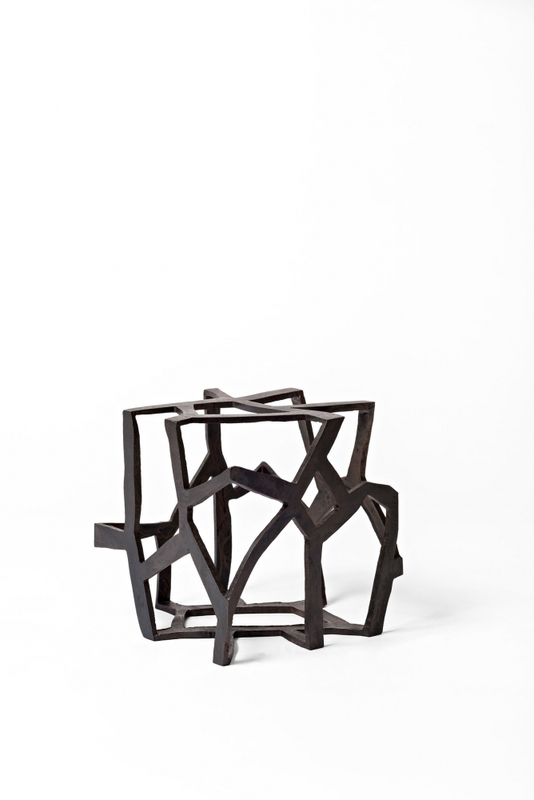 Susan Hefuna, Building D, 2016, Casted bronze, black patina, 6 x 6 x 6 inches. Rhona Hoffman Gallery is pleased to present Cityscapes, Susan Hefuna’s fourth solo exhibition at the gallery. Featuring new bronze sculptures and two series of drawings, Cityscapes examines the architecture, boundaries, and movement of a city through the artist’s intuitive drawing practice. Long gradual walks are a fundamental preparatory exercise in the making of Susan Hefuna’s drawings. Always a keen observer, the artist stores sights, sounds, and perceptions that are then communicated through the act of drawing. In the Citysounds drawings, Hefuna first draws upon vellum with a single, unbroken gesture. The artist then repeats the process to create a second path on transparent paper, which rests atop the first drawing. In her Cityscapes series, Hefuna moves laterally across a sheet of cloth-like Japanese paper and leaves geometric shapes free of ink to reference the lights of New York City at night. Each drawing is a unique exercise in meditation that encapsulates the artist’s body moving through a city. 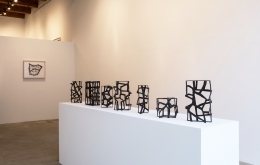 The Building sculptures translate Hefuna’s drawing techniques into cast bronze. 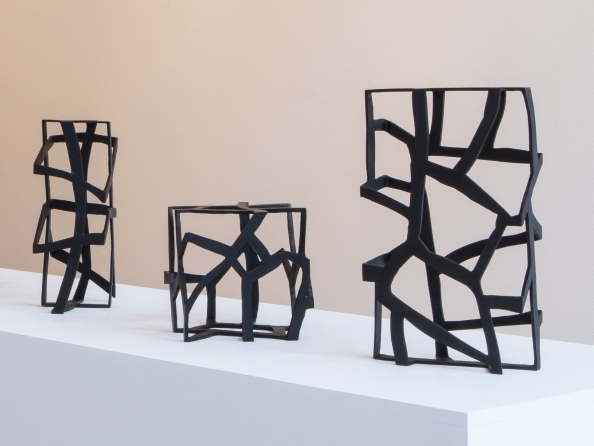 Produced with the same intense concentration as her works on paper, Hefuna prepares the wax cast in one sitting and extends her drawings into a sculptural dimension. The abstract grid-like works range in size and reflect perspectival shifts that occur whilst moving throughout a city. Whether viewed individually like a single building or in a grouping like a city block, the appearance of the sculptures change dramatically from different vantage points. Susan Hefuna (b. 1962) is an Egyptian-German artist who lives and works in New York City and Dusseldorf, Germany. 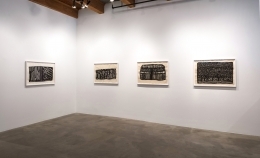 Hefuna has exhibited internationally at institutions and galleries including the Solomon R. Guggenheim Museum, New York (2016); Centre Pomidou, Paris (2016); GEM Museum of Contemporary Art, The Hague, Netherlands (2016); Sharjah Art Foundation, Sharjah UAE (2014); The Drawing Center, New York (2013); Serpentine Gallery, London (2012); the Museum of Modern Art, New York (2010); and Fare Mondi, the 53rd Venice Biennale, Italy (2009). In March of this year, Hefuna will present a series of drawings, video works, and a new performance piece in The Creative Act: Performance Process Presence sponsored by the Guggenheim, Abu Dhabi, UAE.